Your Space is a three-level course designed to motivate students as they change and grow. The Level 1 Teacher's Book is designed to give teachers full support with lesson preparation to enable an enjoyable classroom experience. It provides extra activities linked to the project work for each unit. With comprehensive explanations and plenty of ideas for how to exploit the Student's Book material to maximum benefit, it also contains all the transcripts and answer keys for the activities from both the Student's Book and Workbook. The Tests CD contains an Entry and Exit Test, and Skills Tests and Unit Tests for each unit. The Level 1 Teacher's Book is designed to give teachers full support with lesson preparation to enable an enjoyable classroom experience. It provides extra activities linked to the project work for each unit. With comprehensive explanations and plenty of ideas for how to exploit the Student's Book material to maximum benefit, it also contains all the transcripts and answer keys for the activities from both the Student's Book and Workbook. 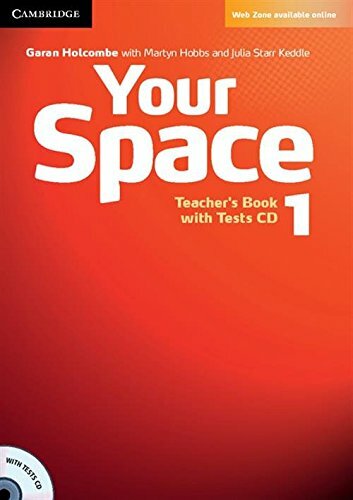 The Tests CD contains an Entry and Exit Test, and Skills Tests and Unit Tests for each unit.